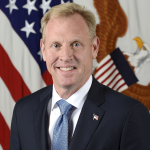 Acting Defense Secretary Patrick Shanahan said the Pentagon has selected the official to lead the U.S. Space Command, Inside Defense reported Tuesday. The secretary declined to name the person and noted the Department of Defense is still working on the process to re-establish the command. "I'm not going to mention the individual's name, but that is moving its way through the process," Shanahan said. He added that ongoing internal discussions about Space Command are focusing on accelerating the delivery of capabilities to service members and addressing concerns of lawmakers. 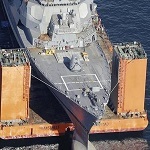 The acting secretary said Congress aims to reduce bureaucracy as well as unnecessary cost for DoD’s space initiatives. Shanahan also noted past discussions over the formation of a Space Force focused on leveraging commercially available technologies.